Body Art (including tattoos and piercings) is regulated under the authority of Chapter 3730.01 of the Ohio Revised Code (ORC) and Chapter 3701-9 of the Ohio Administrative Code (OAC). The Warren County Health District Environmental Health staff conducts at least one inspection per year at each facility. During these inspections, operator’s records are checked for current certification in blood borne pathogen training, principles of infection control, and first-aid. The sterilization equipment, processes, and record keeping are checked. General sanitation of equipment and facility are checked, and procedures such as hand washing and glove usage are verified. 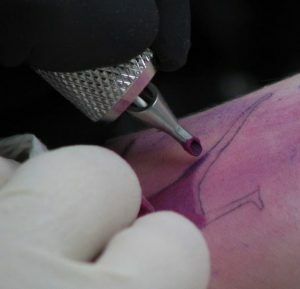 In order to open up a tattoo, body piercing, or permanent make-up facility, approval must first be obtained from local zoning, and facility plans must be submitted to the Health District and the Warren County Building Department.